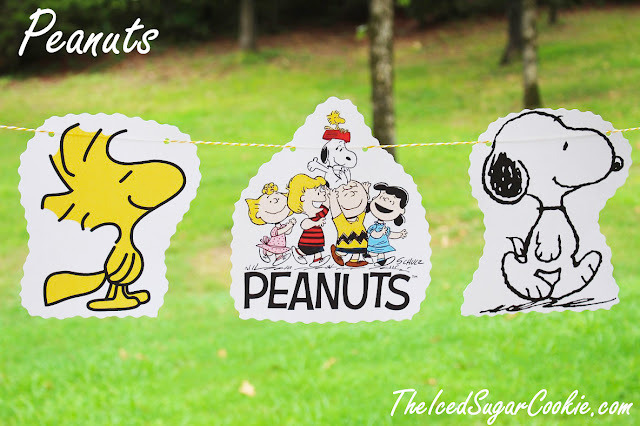 I made a cute little peanuts banner that featured the whole peanuts gang, woodstock and snoopy. I just found clipart online and printed if off on white card stock. Then I used a hole punch and punched two holes in each picture and run some raffia paper cord string through it. 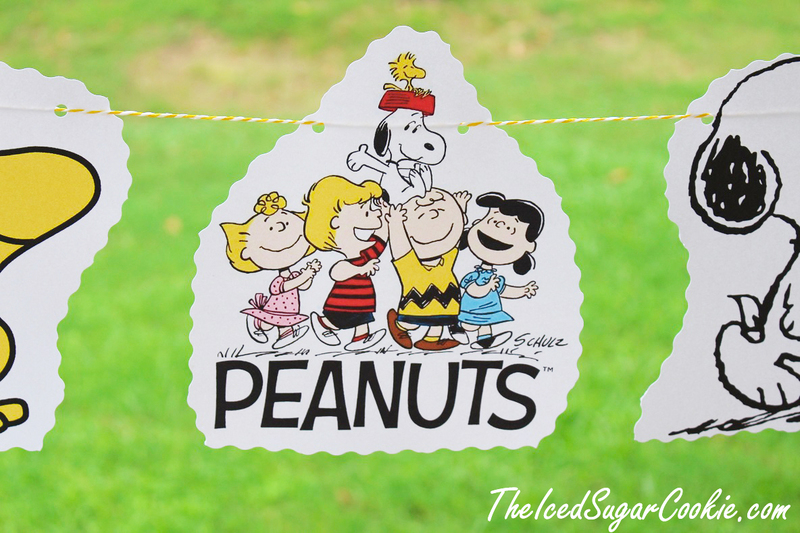 This would work great for a DIY Peantus Snoopy Birthday Party!